What do the leaders of top companies do to create an inviting workplace filled with fully engaged and enthusiastic employees? The best leaders are people who know how to listen, can make a promise and deliver on that promise, and have stepped up to the plate and made the necessary investment to successfully engage their employees. The best leaders motivate, inspire and energize people by connecting the vision, values, purpose and business goals of the organization to individual values and needs. Here are some of the top actions I recommend to people seeking to improve their success as a leader. Make sure you have a vision with the purpose and values to make it real. State where you are going clearly. State your purpose simply. Express your values – the things that you use to guide every action people take at work – directly. 2. Identify Your Leader Type. Knowing who you and what type of leader you are helps you and others identify where, when and how to best behave and act to focus their energy to achieve the goals and objectives you set out for them. 3. Track Your Leadership Development Progress. Keep a leadership log to document what you do and what happens. Review what happens regularly. Reflect on what you are learning and how you are changing. 4. Recruit and Retain the Right People. Identify what makes individuals successful in your culture, and recruit for those skills. The culture will keep them loyal and happy, and exceed all expectations. Improve your interview and listening skills so you can hear what your employees are saying. Document and take immediate action when you identify something that needs to be improved. 5. Engage, Empower and Enrich Your Employees. Invite employees to become part of your vision. Empower them to be a force of change and be enriched by your culture. Make your employees part of the solutions, by giving them a role and the responsibility for implementing solutions to major business issues. 6. Create a Work Environment that Fosters Creativity and Innovation. Go beyond simply improving the physical environment. Focus on how people feel to work there. Evaluate the energy when you walk the floors. How connected to their teams do virtual or remote workers feel? Make changes to ensure that the work environment fuels your objectives and helps to achieve your goals. 7. Appreciate and Reward Your Employees. Develop and deploy a schedule that regularly and meaningfully rewards employees to create a culture of appreciation. Assess and improve the way you reward people so that you are sensitive and responsive to the differences in age, education, maturity, and demographics. 8. Focus On the Things That Inspire Your People. Identify what inspires you and your employees. Do they need more education and training, more creative time and cross-training opportunities, wellness programs to promote less stress and better health, or even a sabbatical? Develop and improve the key programs that your people need to stay engaged and loyal. 9. Improve The Most Important Things First. Identify the most significant of your short comings head-on. Identify what is impacting your own progress and what is holding you back. Are you a poor listener, a technophobe, or do you yell and rave? Admit it. Then take action to get help, fix your problem, and improve your own performance, skills and abilities. Identify where you see yourself in 10 years, 20 or even 30 years? 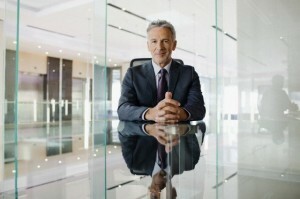 Define the characteristics of the leader you want to be and what the future looks like for you. Describe the way you will balance your personal life and that of your organization and its people. Document how you will build loyalty and trust with your leadership. 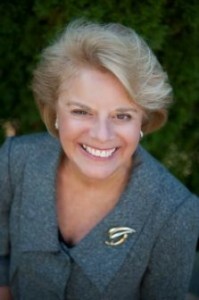 Dianne Durkin, author of “The Power of Magnetic Leadership“, heads up Loyalty Factor, a consulting and training company located in Portsmouth, New Hampshire. She has more than 25 years of experience in training and development, finance, direct sales and international marketing.